Interface with our Geocoding API to complete forward, reverse or batch geocode requests. Easily tap into OpenStreetMap data or MapQuest's licensed data, the choice is yours. Interface with our Search Ahead API for autocomplete-like search results that returns predictions based on your location. Add a search bar to your map with our Geocoding control and interactively geocode or find search results on the fly. Access addresses, airports or adminAreas using the API. If you're interested in premium POI data, contact us. View more in depth details on Geocoding and Search Ahead for MapQuest.js to get started and let us know what you think. We're proud to announce the beta launch of MapQuest.js and MapQuest-GL.js. Get started today using your existing MapQuest API key and let us know what you think. Create mobile-friendly interactive maps with MapQuest.js. Add the control from MapQuest.com with a few lines of code, and allow users to pan, zoom, change map styles, and overlay traffic and incidents. Add traffic and incidents powered by MapQuest Traffic API. As the summer rolls on, you'll be able to interface with additional MapQuest Web Services including our Geocoding API, Search Ahead API and Directions API. Step into the future with MapQuest-GL.js. Interact with our lightweight vector maps in a three- dimensional space, and customize the pitch, bearing and center to your liking. All you need is a modern browser to get started. So what are you waiting for? Go ahead and test out our latest beta offerings — MapQuest.js and MapQuest-GL.js. Feel free to provide feedback for MapQuest.js and MapQuest-GL.js in our forums. 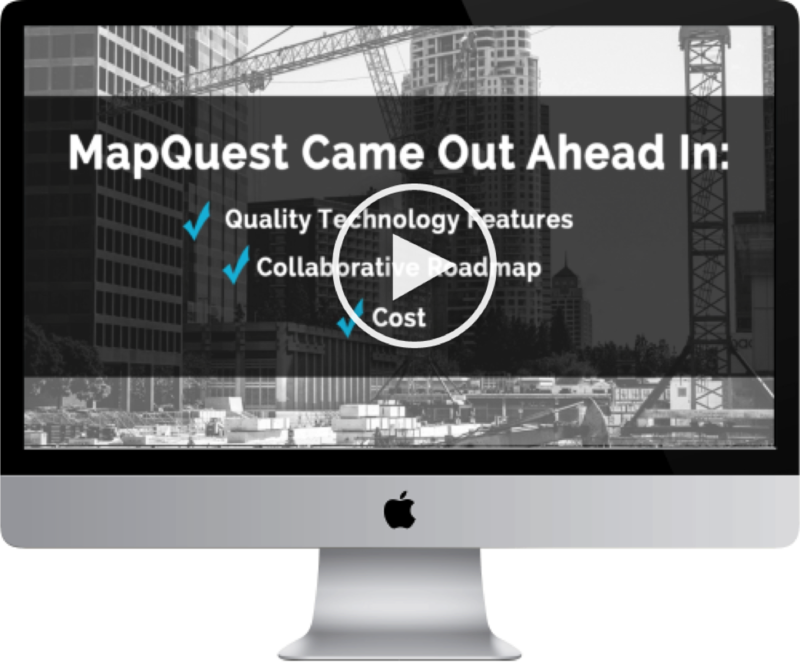 Do you ever wonder how MapQuest for Business powers other companies and their cutting edge solutions? Verizon Telematics' business units including OEM, Hum and fleet leverage several of our APIs and SDKs. Watch the video below to learn how we beat out other suppliers to become Verizon Telematics' preferred geospatial provider. We want to make sure you're always in the know and never caught off guard when it comes to your transaction usage. That's why we made it painless to pull a transaction report for your MapQuest account at any given time. Log into your MapQuest account and shimmy on over to the Transaction History section on the left hand side of your profile. From here, you can choose the dates you'd like to display and the unit of time. In a few simple steps, you can get a complete view of the number of used transactions. We encourage you to pull reports for usage spanning a couple of months rather than trying to pull your usage over the lifetime of your account. Look good? Do that happy dance. It's okay to be picky. If you prefer to view transaction used by a specific AppKey, simply click on 'All Apps' on the upper right hand corner and choose from a specific application. Do you feel the power? Want to control the dates shown on the report for an individual AppKey? Just like the first report, click on 'Pick Date' to customize the report parameters and choose the unit of time displayed. If you have any questions, email us at developer-services@mapquest.com or contact your Account Manager. Hot off the press! We have the latest and great version of our Mobile Map SDKs for both Android and iOS. Android Map SDK version 1.3.20 and iOS Map version 3.4.1-1.0 are now available for download on our Android documentation page and iOS documentation page. 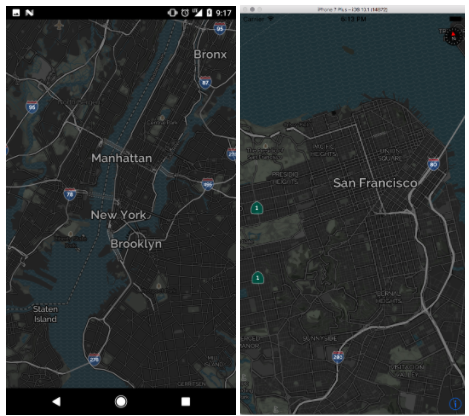 Both Android and iOS SDKs include a new map style — night mode. Night modes is less distracting and easier on the eyes, helping to promote safe driving. Our mobile map styles are customizable, allowing your map to automatically convert to night mode based on rules such as the hour of the day or display night mode at all times. Additionally, version 1.3.10 of the Android Map SDK includes a new class — the MapquestAccountManager class. This minor update is strictly for account authentication purposes. Our teams were also working hard on behind-the-scene updates. The newest versions includes the latest open source code releases and fixes to issues reported for memory and display issues. As a reminder, on June 6, 2017, our Flash Map SDK will no longer be available and you will receive an error when trying to access it. We encourage our Flash Map SDK users to transition to the latest version of our Mobile Map SDKs or Leaflet v2.2. Those looking to migrate to our Leaflet Plugins, please reference this migration guide on our Developer Network and these helpful demos on our Leaflet Plugins to transition to our latest version, 2.2. Need additional support with the migration such as professional service support? 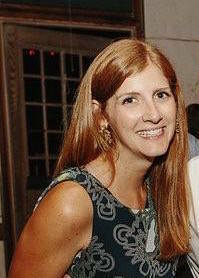 Please feel free to contact us at support@mapquest.com.